Hello my lovelies! It's Saturday and I couldn't be happier because I'm so so tired after this week. Unfortunately, I woke up pretty early because my body is still accustomed to that, so I can't wait for the afternoon to take a nap. 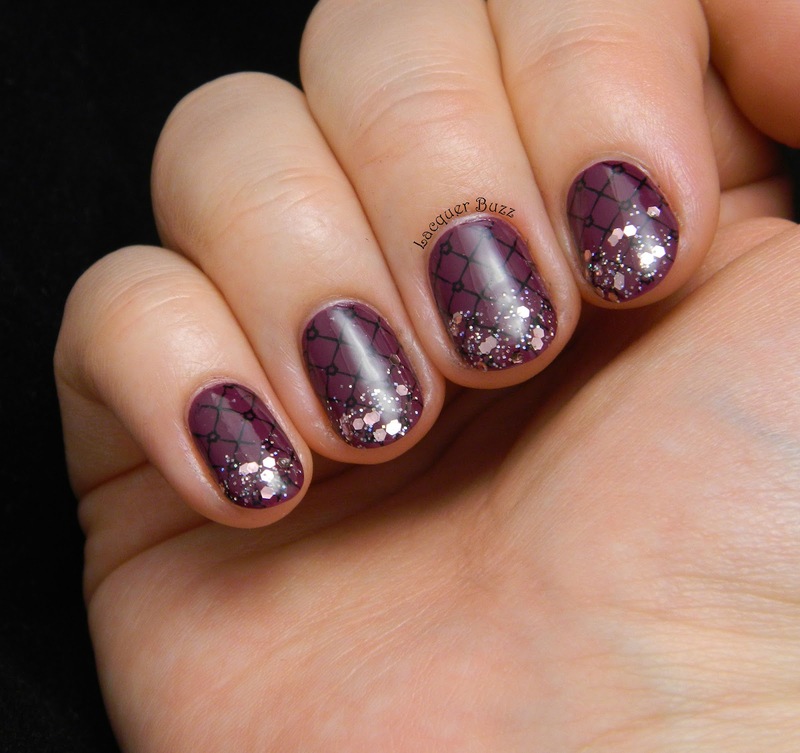 I'm taking advantage of the little energy I have left to write this post and show you a manicure that I enjoyed a lot. I wore these nails a couple of weeks ago. Back then my nails were in better shape so they are a bit longer. I had to shorten them after that and they remained short because I'm waiting for them to get stronger. Anyway, enough with the blabber, let's get to the nails! 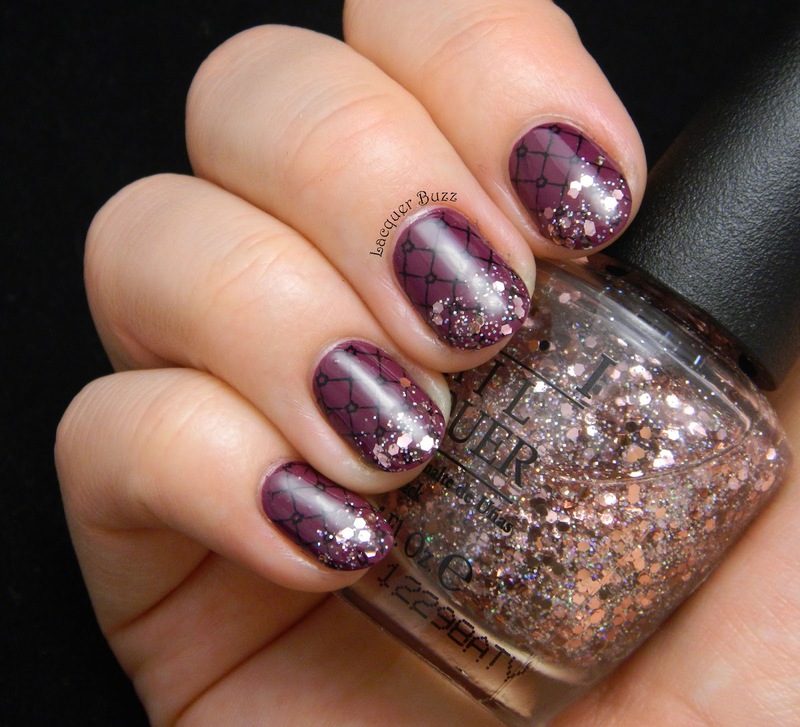 The two polishes I used for this manicure were kindly lent to me by my amazing friend Kinga. I was going through her Helmer and this rich purple creme called OPI Anti-Bleak caught my eye so I had to try it. 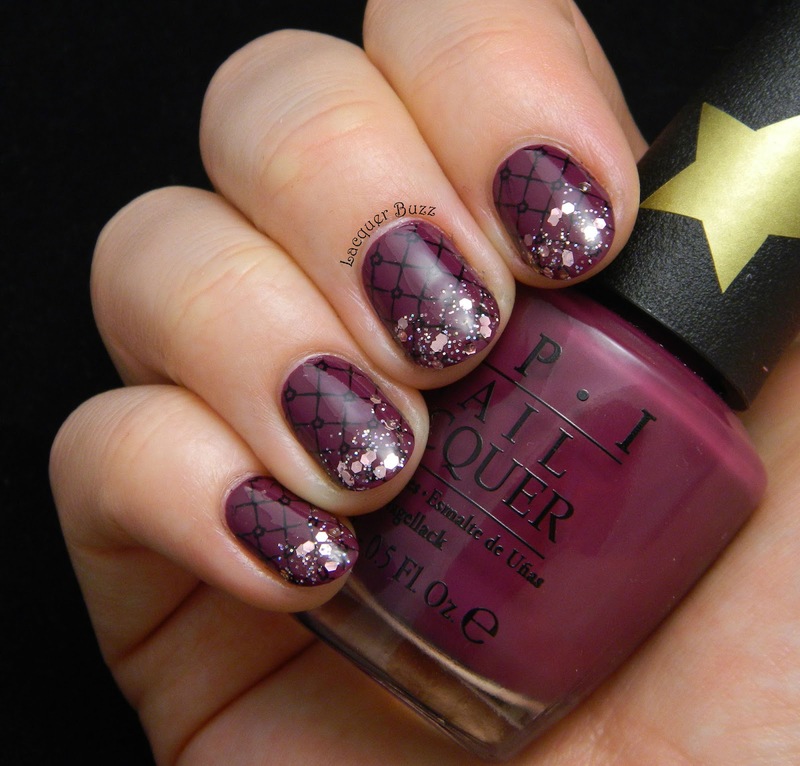 I was also attracted by a pink glitter called OPI Pink Yet Lavender even though I'm not a big fan of pinks. After I got home I decided to pair these two and that's how this manicure was born. I started with two easy coats of Anti-Bleak, a dark purple creme with a warm undertone. It's darker but still very rich, so it doesn't look black in any light. The formula is great and the OPI brush makes it go on like butter. To add a little something extra to the manicure I stamped a quilted image from plate BM-310 using Konad Black. I finished with the glitter gradient and a healthy coat of Seche Vite. These nails are extremely elegant and sophisticated. I guarantee that they will catch everyone's attention and frankly I don't blame them. Please tell me what you think about them in the comment section. And have a relaxing and happy weekend! How pretty! 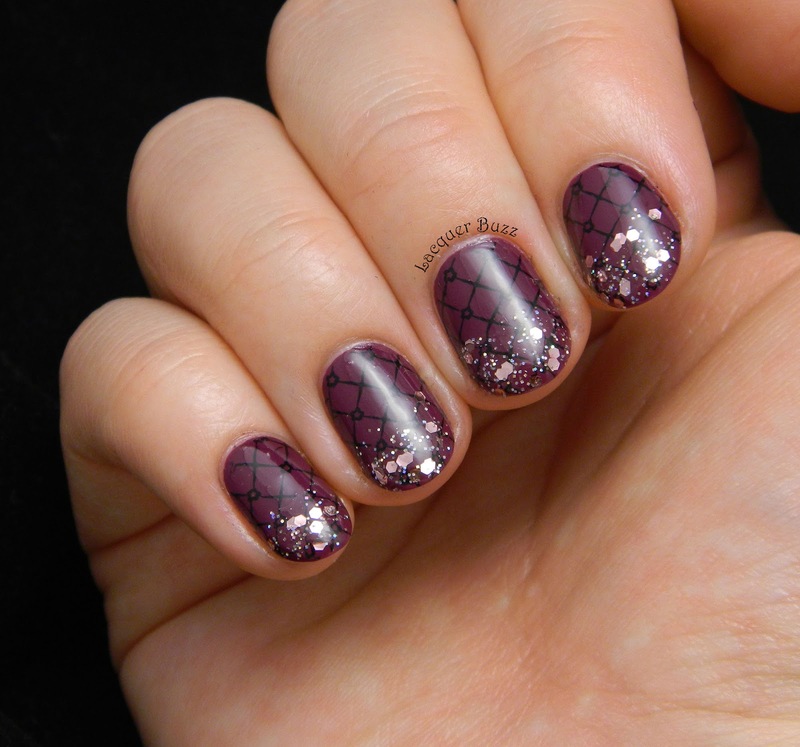 That quilted stamping looks great. Gorgeous! I love everything about this one!